The death of Marine Cpl. Jacob C. Leicht from Texas marked a grim reminder for most Americans that freedom comes at a price that is often paid by others. He was the 1,000th soldier killed in Afghanistan. In Iraq, the number of deaths reached 1,000 in October 2004. The Washington Post chronicles the fallen whereas the words of President Abraham Lincoln, written before the first Memorial Day (originally Decoration Day), remain among the most quoted for all those who came before them. I leave them for you today. 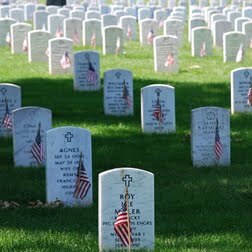 What else can be said, except to ask ourselves daily whether we still hold such resolve in high regard, that those men and women who have laid down their lives have done so in the name of freedom. We may hope.